Here at Speedwell Taxis, we’re proud to deliver a wide range of taxi services for our customers in and around Godalming. Whether you’re looking for an airport transfer or help with the school run, we provide the taxi services you can count on. We’ve rounded up some of our most popular services for you to consider. People rely on Speedwell for airport transfers, meet and greets, school runs and corporate accounts amongst other services, and we have discussed, in more detail, these services below. Catching a flight needn’t be stressful, use Speedwell’s airport transfer service for a hassle-free journey, which makes catching your flight easy. Our timely and reliable services to any of London’s major airports will ensure your business trip or holiday gets off to a great start. We know that every journey to the airport is different. Perhaps one day you’re looking to go with a colleague to get to an overseas business meeting, and the next you’re jetting off on a family break? Because of this, we offer a fleet of vehicles to suit every budget and occasion. Our meet and greet service will make travelling to and from airports and railway stations, as smooth as possible, so you can be where you need to be on time. We’ll track your flight, so our friendly drivers will be there to meet you and assist with your luggage. This service is not exclusive to our executive customers. We’re happy to offer our meet and greet service to individuals and families looking for a stress-free alternative to trains, buses and expensive airport parking. Enquire today to find out how our meet and greet service can transform your holiday and get you where you need to be without a care in the world. Need to be in more than one place at a time? Take the stress out of your mornings with our school run service for customers in Godalming and further afield. Not only does our school run service ensure your children arrive at school on time and in style, but it relieves the pressure from busy parents who have prior arrangements or don’t have a vehicle available. All of our drivers are DBS checked, and you can track the progress of our taxis using our app, giving you peace of mind. If you prefer, you can request the same driver for each journey, reassuring your child on their way to school. Choose Speedwell for a school run service that is safe, reliable and efficient. If you are using our business hire cars regularly, then we’d advise opening an account with us so that you can complete future bookings even more quickly and easily. We understand that your schedule is busy and that you have lots of calls on your time, so open an account with us and book taxis speedily. We reserve our most exclusive vehicles – including our executive and luxury models – for our corporate customers, so to access cars that will leave a lasting impression, you should sign up for a corporate account as soon as you can. 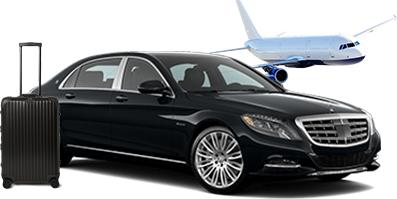 If you’re looking for a smart and sophisticated alternative to taxis and cabs, choose the executive travel option here at Speedwell. We have a fleet of professional and sophisticated vehicles and a team of time-served and professional drivers to take you to and from your business meetings in style. What’s more, with up-to-the-minute tracking through our smartphone app, you’ll always arrive on time for your next meeting. 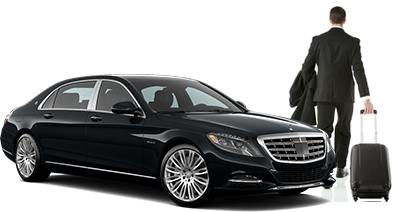 If you’re ready to try out our executive travel experience, simply book online and select the appropriate car. Alternatively, you can get in touch with a member of the Speedwell team, where you’ll also be able to discuss your exacting requirements and specifications before booking.